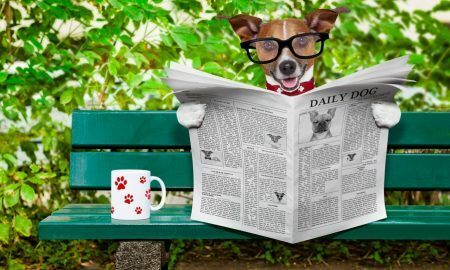 All posts tagged "top dog news"
Week in Review: Ollie’s Abuser Arrested, Stray Dog is a Hero, Mall Santa Turns Away Service Dog, and More! Week in Review: Loyal Dogs, Yulin Update, Puppy Sales Ban, Pit Bull K9 Cop, & More! This Week in Review: Daylight Savings, Iditarod Updates, Tribute to a K9 Hero, Four-Legged Friar, & More! This Week in Review: Dog Food Recalls, Animal Law, Unusual Dog Park, Evanger’s Updates, & More! This Week in Review: 3 New Recalls, Beneful Lawsuit, Lifesaving DNA, Gearing up for Westminster, Hugging Dogs & More!